Buz began his quest by working along side the old timers who dedicated years to the art of perfecting the pit. Sharing secrets that chefs like Bobby Flay would do a great deal to get their hands on. From the beef BBQ of Texas to the whole-hog barbecues of North Carolina, Buz has cooked, eaten and learned from the best. But real barbecue isn’t something that comes from a recipe. Real barbecue is something that only happens with dedication to the art, and respect for the patience required to craft the most delicious meats possible. It was on one such journey, at the crossroads that connect the mountains of Tennessee, North Carolina, and Virginia, that Buz ran across Ned. Ned was smoking up some of the most amazing barbecue that Buz had ever tasted. Using recipes that had been handed down for over 150 years, that old-timer was a county legend and one of the best kept secrets in the barbecue world. 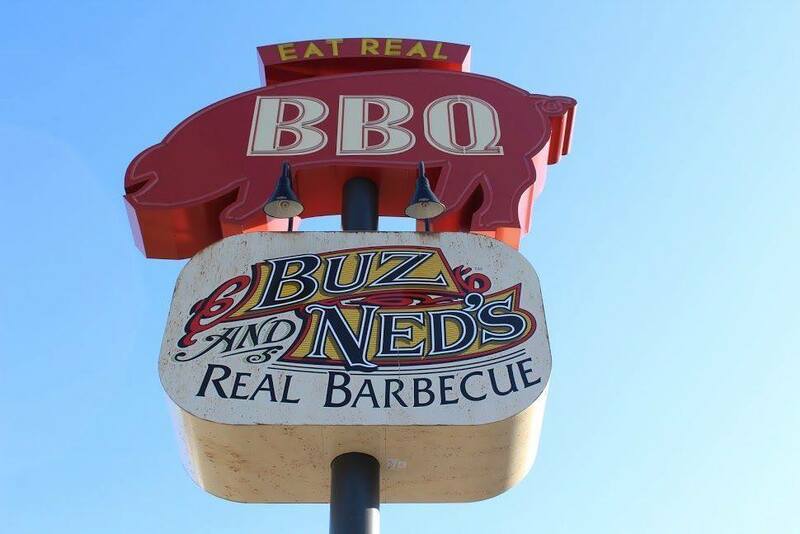 Before giving up the ghost and moving on to the next great barbecue adventure in the sky, Ned entrusted these secrets to Buz, making him promise to keep Ned’s BBQ traditions alive. Today, Buz is still honoring that promise by bringing delicious, real barbecue to Richmond, VA.
You could say that Buz is a man on a mission… and you’d be right. 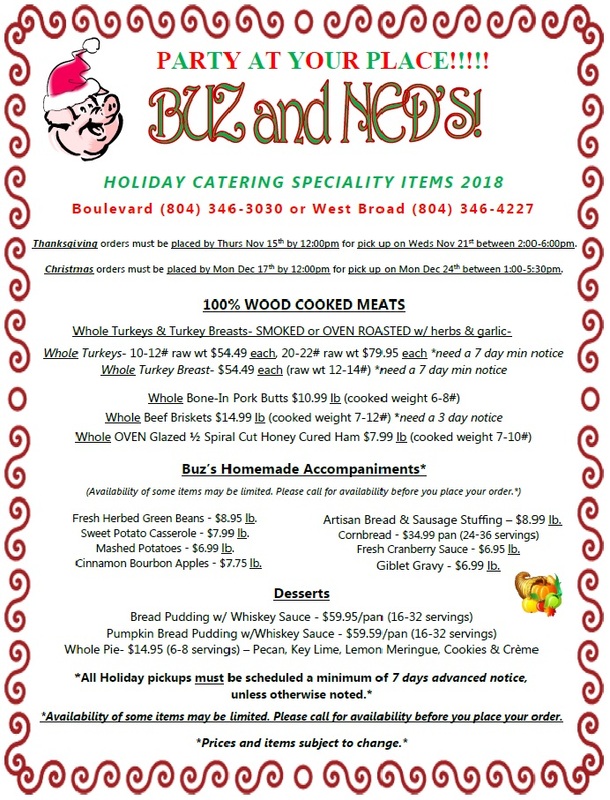 Buz and Ned’s Real Barbecue, a Richmond tradition since 1992.